When choosing any company to provide you with a particular service, it is always wise to have more than one option. At the very least, have three companies to choose from. Having options will give you room to decide on what you want based on your needs. You won’t feel pressured to just choose a company because you don’t have an option. You can gather the names of these companies from the internet or even by asking your family and friends for referrals. To help you choose the best company from all the options that you have, make a list of your needs and expectations. When interviewing the companies, check to see if they meet your requirements. If not, do not hire them. Thanks to the rise in crime and the high standards of living, people have turned to dubious means to earn a living. This may include forming fake companies in order to steal the money of clients. 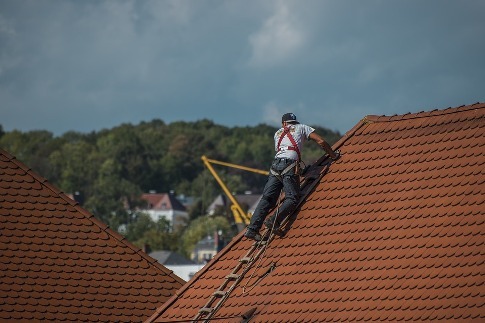 Therefore, you need to be on the lookout when hiring a roofing company. Ensure that you verify all the information that they provide you with. Wikihow.com suggests doing verification through various ways such as asking for a valid business license, proof of insurance, tax identification number and business details such as an address and email address. Verification might seem like a long procedure but it is going to save you a lot of time and disappointments. It will ensure that you only do business with legitimate companies that are registered and licensed. In order for you to have a good working relationship with the company, both parties need to communicate effectively. This is in relation to making appointments, consultations and even when fixing the roof. You need to be able to tell them exactly what you want. You also need to feel free to express disappointment when you don’t get what you asked for due to negligence. On the other hand, the company you are hiring needs to give you a regular update of how the fixing of the roof is going. They shouldn’t ignore your calls or dismiss your concerns. If they cannot make it to an appointment, they should let you know in advance. If you feel like you and your roofing company is not communicating effectively, it might be a sign that you need to look for services elsewhere.